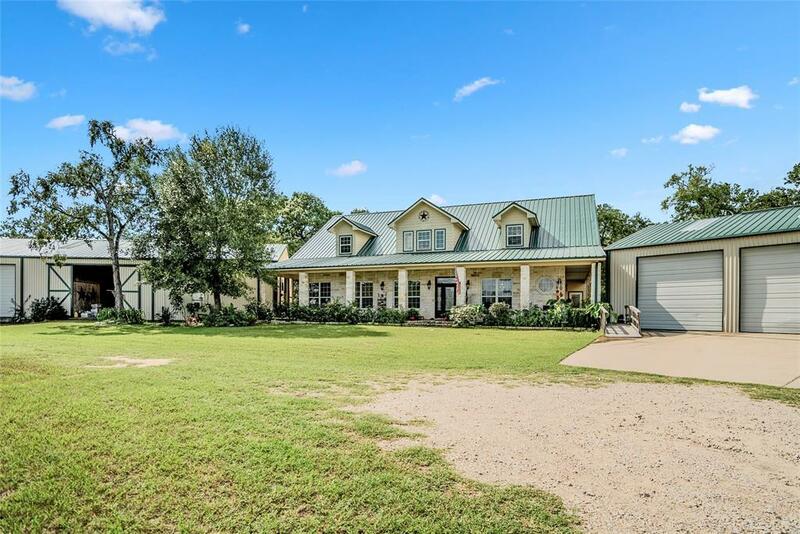 Must see this charming country home fenced & cross fenced on 20 acres in Walker Co. 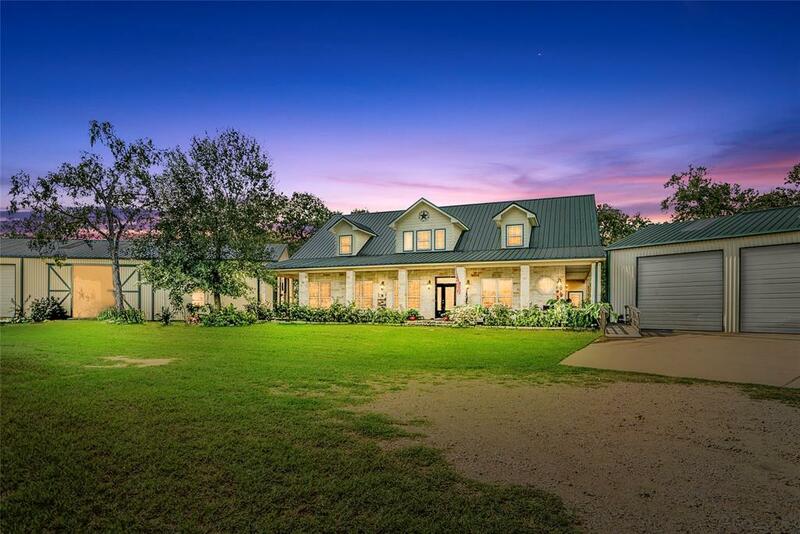 This unique 3 bed 4 bath property features home with high ceilings, crown molding, 2 fireplaces, office, dining & breakfast, walk-in pantry, game room/extra office and a sun room. 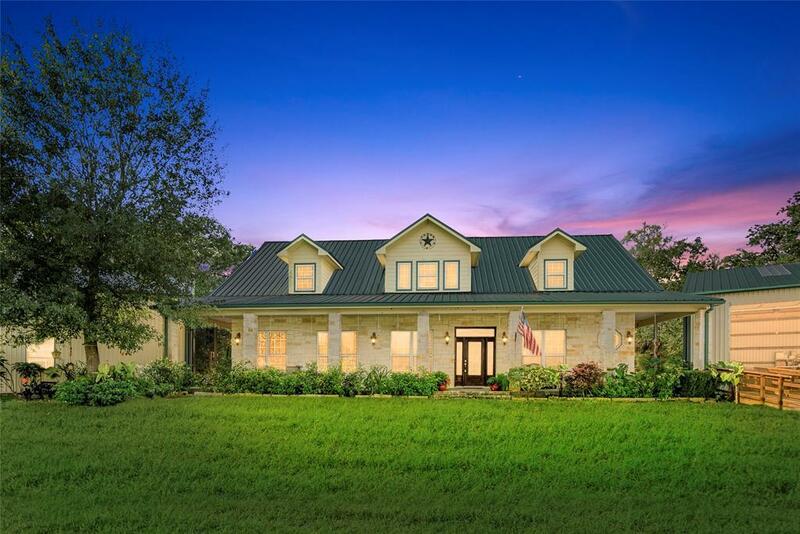 Beautiful master is complete with fireplace, huge walk-in closet, spa like master bath with double sinks, jetted lg tub & shower. Also featured, is a Texas attic easily expands to a 2 story. Outside features 39x90 garage/wk shop with four 12x12 electric garage door openers. 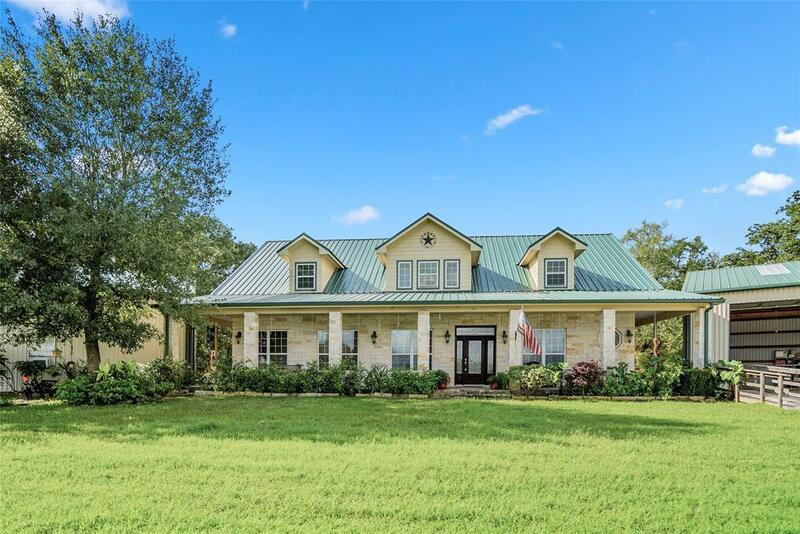 2 barns one 39x90 with 6 custom stalls, hay, feed & tack rms, living qts & a full bath. Useful round pen. Second barn 30x40 with 4 stalls. Both nice barns concrete flooring except stalls. 12x24 "she shed" perfect for crafts, wk shop/storage. Bonus metal building on concrete makes for barndominium/guest house with full bath. 2 ponds on this peaceful leisure farm 1 spring fed 1 stocked. Pack your fishing rod!